Entering into force in 2013, the Alternative Investment Fund Managers (Aifm) directive is a formidable piece of legislation whose ramifications go far beyond achieving tick-box compliance. The directive impacts all the alternative sectors: hedge funds, real estate and private equity. The first step for managers of Luxembourg alternative investment funds (Aifs) is to conduct a strategic review of their ranges and operating models. They should ask the basic questions: Who are my current investors in the context of the directive? Will they easily be able to continue to access my products? Will the directive open new distribution opportunities? What should my future fund range look like in order to meet investors’ needs? And what organisational model should I implement to meet the more demanding requirements of the directive? Such a strategic review should generally be performed on a case-by-case basis at alternative investment group level (promoter, sponsor, advisor, general partner or manager) and will, therefore, be likely to go well beyond the Luxembourg context. It may, for example, cover redomiciliation of funds, and changes to advisory and delegation arrangements. The global picture from a Luxembourg perspective looks very different depending on the sector. For a start, hedge funds are primarily offshore. About two-thirds of hedge fund managers are based in the United States and a quarter in Europe. Hedge fund managers primarily access EU investors through the private placement of a mix of offshore and onshore funds. Private placement requires compliance with an array of individual countries’ private placement rules and regulations. Today, Luxembourg administers around US$180bn (€130bn) of hedge fund assets in addition to US$220bn in so-called alternative Ucits funds, or “newcits”. Seven of the top ten global hedge fund asset servicers are based in Luxembourg. These service providers leverage the network of their competency centres throughout Europe and beyond. Private equity funds are primarily non-EU structures. Globally, about half of the general partners are US-based and a quarter EU-based. Today, most private equity houses use Luxembourg for structuring acquisitions – special purpose vehicles (SPVs) in particular – and many already have funds in the Grand Duchy. General partners of Luxembourg private equity funds are diverse: EU initiators represent more than two-thirds of funds. Outside the EU, Switzerland and the US are the other larger players. Real estate funds can be categorised into funds investing into listed securities and vehicles holding real estate directly. While Luxembourg is active in both markets, the Grand Duchy stands out for direct real estate funds. French, German, Italian and UK direct funds real estate primarily focus on domestic markets. In contrast, Luxembourg direct real estate funds, like those of the Netherlands and the Channel Islands, are diverse, often investing on a pan-European or international basis. Luxembourg direct funds represent a third of European direct funds. European initiators dominate, led by France, Germany and the UK, with a substantial portion of US and some Asians. Most managers have set up substantial operations in Luxembourg. We believe that, in time, many managers will opt to set up new structures and operations onshore in the EU because: EU alternative managers with EU Aifs will benefit from the passport to market their products to professional investors in their home member state and in other member states. Also, an Aif “brand” will emerge, reflecting the global success of the Ucits brand. Another factor in onshoring is that most large institutional investors expect Aifs from Aifm-compliant managers. The majority of existing private equity and real estate funds will be run off in their current state. Many managers with offshore funds, such as hedge funds, sold to European investors may consider setting up parallel onshore and offshore structures – the onshore structures dedicated to investors who require or prefer an EU structure and/or full compliance with the Aifm directive, and the offshore structures dedicated to those who do not. 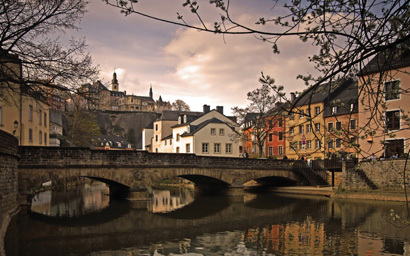 Over the past 20 years, Luxembourg has established itself as an alternative fund centre offering a complete range of investment funds, as well as a place of establishment for an increasing number of managers. Luxembourg alternative investment funds set to fall within the scope of the directive include, inter alia, the lightly regulated specialised investment fund (Sif), which can be used to create alternative funds of any asset class, including multi-asset class and investment companies in risk capital (Sicars), which are generally used in private equity and private equity real estate. Many in the industry see Luxembourg Aifs as the optimal solution. Most alternative investment groups already in the country will opt to keep, if not substantially reinforce their current Luxembourg fund ranges. Others not yet in the Grand Duchy will be tempted by its value proposition. They will choose Luxembourg as their EU domicile because it has all the credentials to be the European hub for alternative investment funds. It has competencies and flexibility to distribute Aif across the EU and internationally, leveraging its cross-border and international renown for distribution of Ucits. And it has regulated depositories for Aifs as required by the directive, which are highly experienced. Luxembourg has, in addition, reputation, stability, ability to achieve tax neutrality, infrastructure, qualifications of the workforce, and service provider expertise. In general, Luxembourg Aifs are managed by Luxembourg incorporated management companies (ManCos). The ManCos’ substance may need to be enhanced to meet the requirements of the Aifm directive. Aifm must provide at least the investment management services of portfolio management or risk management to the Aif, and are responsible for ensuring compliance with the requirements of the directive, such as those on remuneration, conduct of business, disclosure and transparency. In the case of private equity, the asset stripping provisions will restrict distributions to the Aif from portfolio companies, which the Aifm controls. Managers are considering alternatives to create an Aifm-compliant alternative investment fund manager. These are: boosting the current Luxembourg ManCo; establishing or using a management entity in another country, for example, close to the manager, to manage the Luxembourg Aif; creating a joint venture ManCo with other groups; appointing a third-party ManCo. Given the convergence of the principles of the regulation of Ucits ManCos and Aifm (for example, on rules of conduct and conflicts of interest), Ucits ManCos may find compliance with many of the requirements of the Aifm directive an easier task than nonUcits ManCos. Groups may, therefore, consider using a single ManCo for their Ucits and non-Ucits ranges. Last but not least, groups will need to carefully consider which services to insource and which to delegate to, for instance, administrators, valuers and other specialist service providers under the strict delegation requirements of the directive. They may consider delegating compliance to a single hub for all the management entities of the group. While there is much work to be done as the detailed interpretation of the requirements of the directive are fleshed out, Luxembourg has differentiating factors which will make it the domicile of choice for Aifs and for many alternative managers and their service providers. Michael Hornsby, Kerry Nichol and Olivier Coekelbergs represent Ernst & Young in Luxembourg.